In a time when persistence, loyalty, and hard work are sparse it is refreshing to see it take shape, especially in the Sports Arena! So many seek instant SUCCESS, but end up trading in Long Term Success in order to be a “One Shot Wonder”, if you will. For years the NFL sought “parody” in the league hoping to provide fertile ground for each NFL Team to know the feeling of winning a Championship. 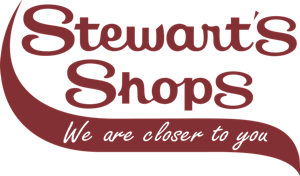 It is dangerously close to “picking” Winners and Losers! Country Mills Eagles took the top spot with a total of 2,376 total points throughout the 2017 Track & Field Season. However, right on their heels was Chatham Gold, the 2015 Liberty Tour Champion, with 2,064.50 points. The Norwich Bolts took 3rd with 820 points, just barely edging out Averill Park Road Runners, who took 4th Place with 812 points. 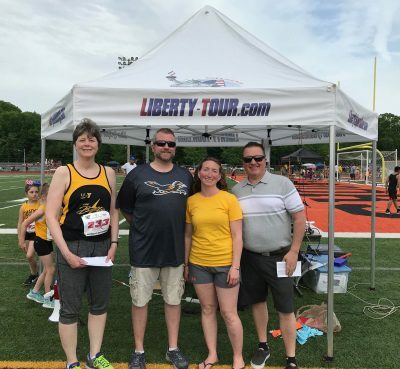 Liberty Sports Gear provides more than $1,000 in Team Gift Certificates each Liberty Tour Track & Field Season, as a means to assist these Youth Track & Field Clubs with much needed Equipment and Uniforms. 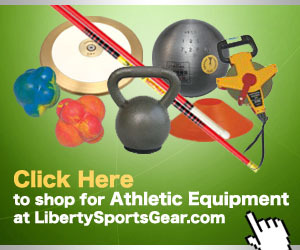 Teams and Athletes can visit their website to purchase Track & Field Uniforms, Sports Apparel, Running Shoes, Track Spikes, Track & Field Equipment, Awards, Paraphernalia from MLB, NFL, NBA, NHL, and the NCAA, along with a host of other items, and the site is constantly adding New Merchandise.